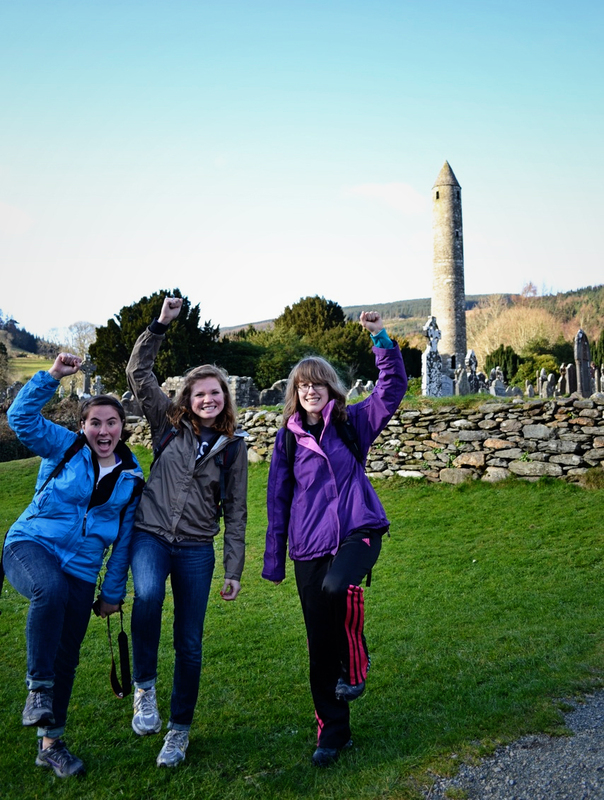 To kick off this week's FPF photos meet Taylor University students Corry, Kayla, and Lindsey who threw fist pumps and leg kicks at the Glendalough Monastary in Ireland. Bonus points for studying abroad, Homies! 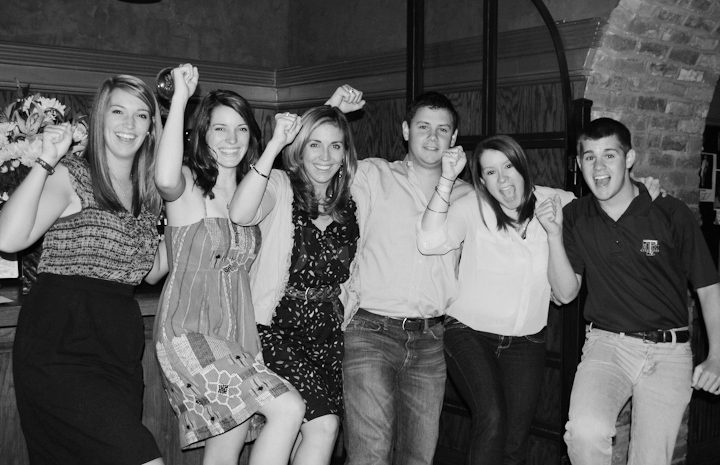 Next meet Rebecca, Michelle & Allison (UT sisters) and Harrison, Lorien, and Grant (A&M siblings) who threw fist pumps at Allison & Harrison's surprise engagement party. Pretty sure this marital union is going to give a whole new meaning to family rivalry. Hook 'Em and Whoop! 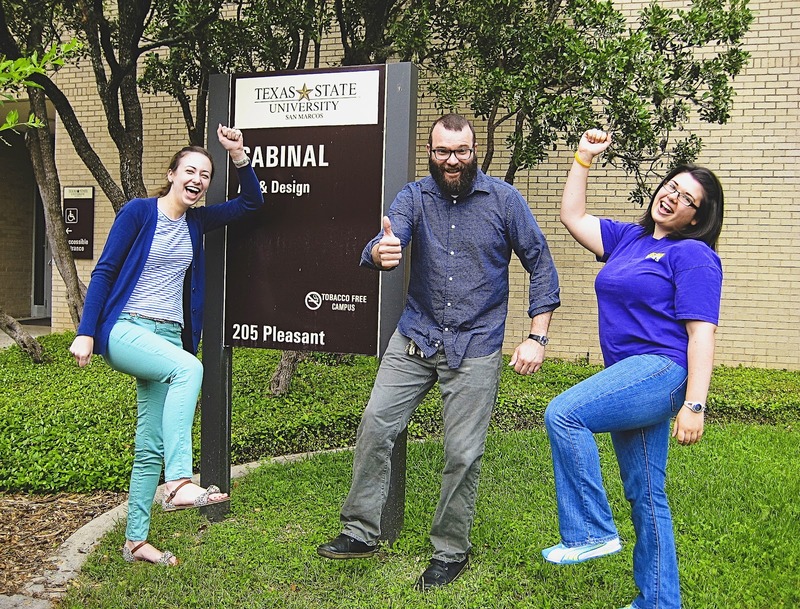 Our next photo is of Texas State seniors Kerri and Julie who threw fist pumps and leg kicks with their favorite professor, Barry Stone. Ferris Buehler would be so proud of you for staying in school. Next meet Dave who threw fist pumps and leg kicks after running 40 miles on his 40th birthday. He also recruited people to sponsor 40 children with World Vision. Talk about a memorable birthday! Our next photo is of Em and some of her homies who threw fist pumps while waiting for a taxi in Kampala. These guys spent the last few weeks working alongside Uganda youth from All Saint's Cathedral. 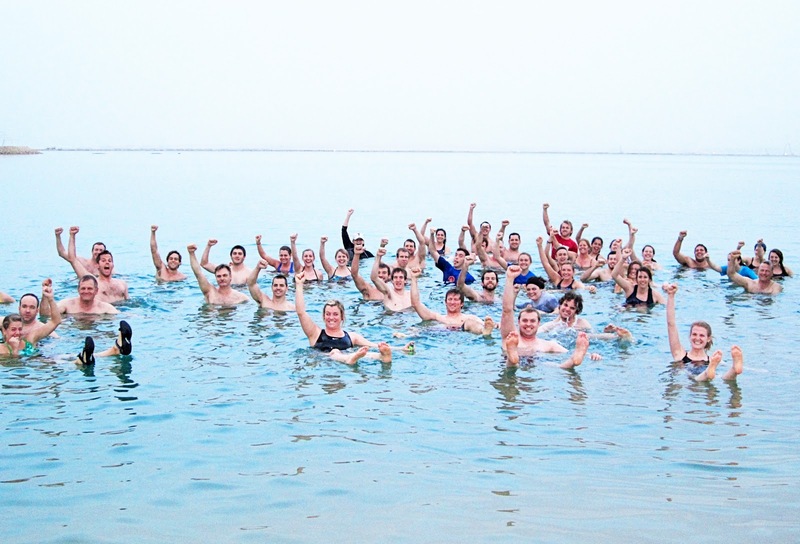 Next meet our friends Matt and Caitlin and other members of the Pine Cove Forge who threw fist pumps while floating in the Dead Sea. Bonus points for visiting one of my favorite places on Earth! Lastly, you might recognize Jocelyn (Taylor University) and Brittany (Utah State) from this FPF photo back in December. Over spring break Brittany was badly injured in a climbing accident that resulted in multiple leg fractures, a broken foot, broken tibia, and two breaks in her spine. 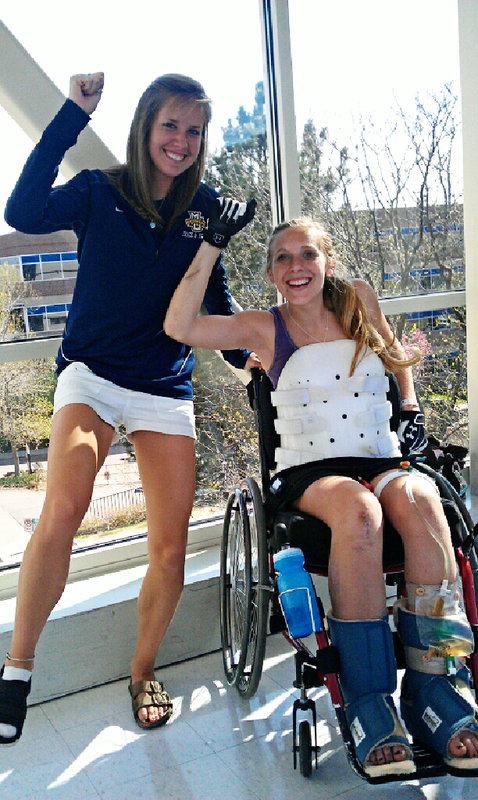 After 9 hours of surgery she's since started her road to recovering at a rehabilitation center in Denver. Jocelyn and Alyssa (Marquette), two long time friends of Britt's have been a great source of encouragement to her as she works hard to get back on her feet! Thanks to Kerri, Julie, and Barry we've now completed one more of our FPF challenges. Here's to accomplishing some more! Take a photo of you and your homies 1) while riding an elephant 2) with your mailman 3) in front of Antique Archaeology in Nashville 4) with Twinner at Local123 5) at your favorite BBQ joint 6) at the Pyramids in Egypt 7) at Cadillac Ranch in Amarillo 8) after running a marathon 9) in front of the Sistine Chapel in Rome 10) in front of your sorority / fraternity house 11) at the National Cherry Blossom Festival in DC 12) throwing fist pumps with your grandma or grandpa (because grandparents are the shiz) 13) with your favorite professor or teacher 14) with Katie Davis in Uganda or at Catalyst Dallas 15) with Naomi, Josh or Eleanor Davis of Rockstar Diaries (bonus points if it includes Kingsly at the dog park) 16) at the Golden Gate Bridge in San Fransisco 17) in front of the Sydney Opera House in Australia or 18) at Cain's Arcade! To participate email photos to em@todaysletters.com. And most importantly, Happy freaking Friday, Homies! 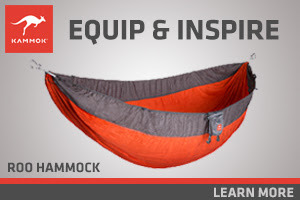 PS, Each week we receive several FPF photos that can't be posted on the blog due to photo quality. We'd love to encourage you to 1) take your FPF photo horizontally 2) use an SLR camera (no blurry cell phone pictures) and 3) take your photos in the daylight. Thanks! Your #18 should be someone at Caine's Arcade! 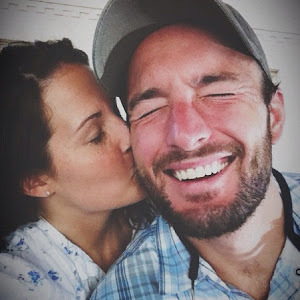 Read your blog every morning to start my day off with a smile. Thank you so much for all that you share - your marriage is an inspiration to all. Hope that you and Tim are well and have a great weekend!